This platform is another example of how powerful crowdfunding can be for both the business and individual. If you’ve been looking for alternative online earning option, this one may be for you. However, tread very carefully with this platform. There are big risks, and some would argue the rewards don’t outweigh the risks – so make sure you do your diligence beforehand. To be clear, we don’t recommend this platform as an investment. It’s an interesting way to potentially earn more money, but it’s very risky and speculative. While we do review it and try to highlight the core features of it, keep in mind the high risk involved. As you read through this review, you can also sign up and explore for yourself – by signing up with this link, they’ll give you $5 to get started. Editors Note: Kickfurther announced that starting on 1/30/2017, they are changing several key components of their business model. We have not evaluated these changes and this review does not fully reflect any updates since it was originally written in November 2016. We encourage readers to share their thoughts on the changes in the comments. You can read about the changes here. Let’s say an existing or fairly new company has created a product and can’t keep up with demand. They need money for more inventory and they need it fast. Possibly unable to get funding from a bank (or don’t want to), they instead look to crowdfund their inventory. They sign up with Kickfurther. Kickfurther looks into the company, takes a look at their market, product and profit margin. If Kickfurther feels this particular company would be able to successfully sell their inventory in a specific time frame with enough profit margin, they will present this company to their pool of buyers (this is where you come in). As a buyer, you would then be able to choose whether or not you wanted to help crowdfund the company’s inventory and of course, how much you’d like to participate. You’d be able to take a look at the rate of return the company is offering and timeframe in which they’re expected to sell their inventory. As a Buyer on Kickfurther, you are not actually lending money or buying equity. You’re technically buying inventory on consignment, which is why this platform is available to everyone. In fact, as a Kickfurther Buyer, you can even help the companies you partner with in selling their inventory with your own Kickfurther store, if you choose to do so. You will receive 5% commission for every item you personally sell as well as the original payout agreement. As you can see from the example above, this company is looking to raise $204,953 to fulfill their inventory needs. If they raise this money, they’re expecting to pay inventory buyers an 11% return over eight months. When you click on the Brand, you’re then taken to a screen that shows more information on the company. 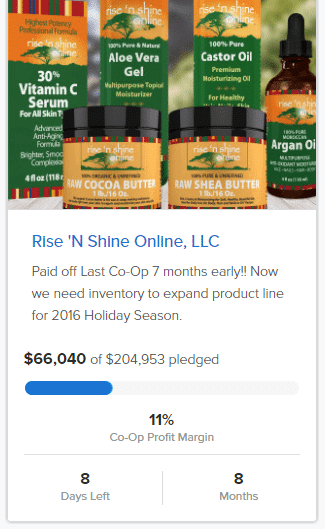 You can see the percentage sold for completion, which is the amount of inventory that needs to be sold for buyers to earn back their principal and pay out (which is 67% for this particular company.) 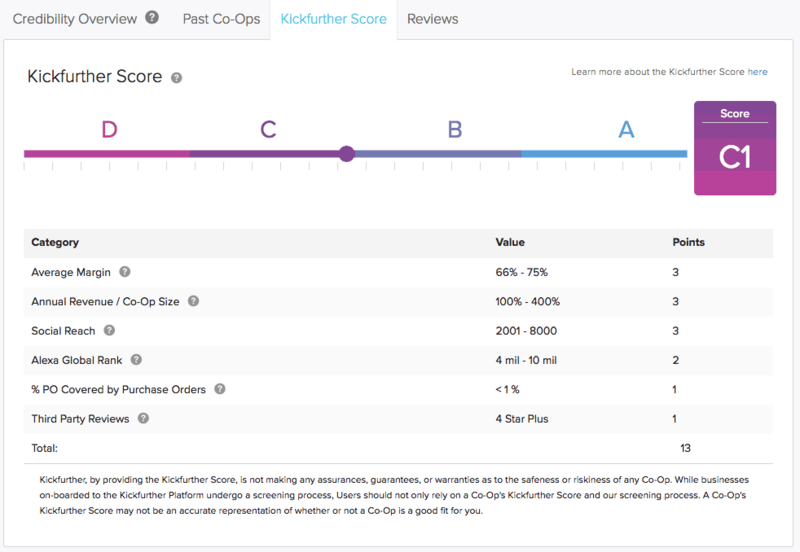 You can also look at the company overview and growth, past Kickfurther Co-Ops, Kickfurther score and reviews. Kickfurther is transparent with the information they offer which helps you determine whether or not you’d like to buy inventory for specific companies. One of my favorite pieces of information to look at is whether or not the company has a purchase order already to cover the inventory. I’ve seen companies with purchase orders, and some without. If a company doesn’t already have a purchase order, there’s more risk with your money as they don’t have buyers lined up. As you can see, this company has a score of C1. But I like to look directly at % PO Covered By Purchase Orders, which is <1%. That means this company doesn’t have any orders for the inventory they want to buy, increasing the risk dramatically. This company at least has purchase orders lined up for 30-75% of the inventory. However, they are risky and have a lower score for other reasons. If you do decide to partner with a Brand, you buy “packs” of inventory. Each “pack” of inventory is tied to a calculated lot of inventory which includes at least 1 of all of the SKU’s being funded (you can see the breakdown of percentage on the platform). As a result, every brand has their own “pack price”. In this case, one package of inventory is $91.09 so you would need to contribute in increments of $91.09. You can contribute in amounts as small as $20, but not lower than what one package amount equates to. With Kickfurther, the companies needing inventory have contracted to pay the buyers back in a certain time period. However, buyers can be paid back monthly as the inventory sells. If the inventory sells quicker than expected, buyers may receive the full amount of principal and payout early. However, it could also take a company longer to pay back the money than expected. Remember, there are no guarantees here. Also, it’s important to note that Kickfurther charges a 1.5% withdrawal fee to buyers. What If A Company Doesn’t Sell Their Inventory? Good question. Like any other earning strategy, contributing your money into small business inventory through Kickfurther offers no guarantees. It’s possible that, in some cases, a company may not be able to fulfill their commitment. In this case a few different things could happen. First, the company could pay the consigned amount of the inventory out of their own pocket (which has happened, and is the best outcome). If this isn’t possible, the company is required to send all inventory to Kickfurther and then Kickfurther will try and liquidate the inventory, possibly at discounted prices. (They will first poll the buyers to see what the community would like to do with the inventory.) This has also happened and you can read more about the specifics here. Kickfurther was transparent in also sharing that they had a couple of fraud instances in their first few months of operation, and in those cases they either refunded users a portion of their contributions or had a lawsuit where the Brand filled a settlement fee which was sent back to the users. Since then, their verification and qualification of the brands has increased with new verification checks to protect their community. You can read about their verification process here. While it seems cancellations of Kickfurther contracts are rare, they do happen. Basically, there are options to get paid, but you’ll likely receive less than you originally contributed. The bottom line is that you need to be comfortable with any contributions you make and realize that you could lose money. You also need to be comfortable with the risk involved, realizing what the margins are. Kickfurther is an innovative way to partner everyday individuals to small businesses. While there can be upside to buying inventory with Kickfurther, it’s always best to do your research and slowly test the waters. 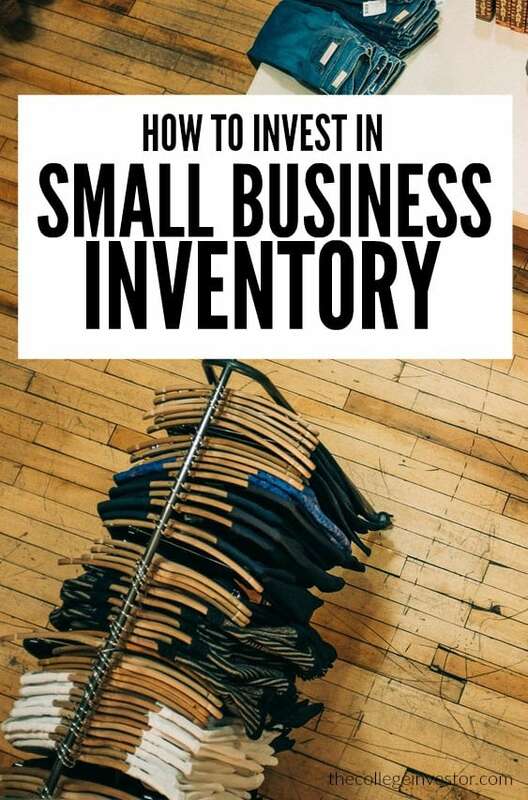 And remember, you’re just helping fund inventory. And there is a specific Co-Op profit margin for each company. This won’t make you huge money, but it has the potential to earn you a nice amount of profit in a relatively short period of time. However, remember that the risk of every contribution could be getting $0 back. So, ask yourself if the profit margin is worth the risk over that short period of time. You can create an account with Kickfurther here. Remember, when you sign up with this link, you’ll get a $5 bonus applied to your account. After that, you’ll need to decide how you want to contribute. You can do this by choosing companies you believe in or by relying on past data (preferably both.) Either way you need to feel confident that the company you’re buying inventory from can fulfill their contract. We recommend vetting each company thoroughly on and off the platform before making any contributions. If you decide to try out the Kickfurther platform, please come back and let us know how everything goes for you! I’ve been investing in this platform almost since the beginning, so I’ve got quite a bit of experience in how investing has worked on this platform. And I’m sure my opinions aren’t alone. I’m a big fan of your site, but I really do not think this is a good investment vehicle for anyone, let alone for a millennial or recent graduate, and I highly discourage anyone from putting even a penny into this platform. From my own personal experience, I’ve lost quite a bit of money. It’d be one thing if it was due to just bad luck. Some of the company’s are having issues selling, which is expected of any company. But, I also believe I have been the victim of fraud. Or at least something that is more than just a company being unable to sell their inventory. Without going to far into the details, I had one offer in which the company may have been a fake company. Whatever happened, it was fishy and all my money disappeared. They had an address listed within the US, but it turned out that the person had taken the money and either was already in Dubai or fled to Dubai. In any event, investors soon discovered that this company did not have any real presence within the US, even though they had listed US addresses and phone numbers. We trusted the company was a real company because Kickfurther told us that it vetted companies. None of us would just give over $50,000 to any random person in the street after all. Once the offer failed, the company CEO disappeared and stopped responding to any messages. All phone numbers for the company were then turned off. The address listed turned out to not be a real address or was just some sort of agent address. The company appeared to be some sort of shell company. In no way did they have any real presence in the US. Then, the website was deleted. This is when we all started to worry. Worse yet, we then found out that the CEO was in Dubai, far out of the reach of the American legal system or law enforcement. All social media accounts still exist, but haven’t been updated since earlier this year, which was right about the time that this offer had been funded and was supposed to pay back. Remember, this is a consignment loan, correct? After all, I’m pretty sure federal regulations do not let unaccredited investors just drop thousands of dollars into random companies. So then it made me wonder, where’s my inventory? What did my money purchase? From what I see, I sent my money to some random person. Worse yet, if this was fraud, Kickfurther has directly profited from it because it takes a portion of any funds raised. Any idea that your money is tied to some collateral only holds true if you don’t fall for a fraudulent offer. And even then, it only holds true if the company actually returns the inventory (which Kickfurther has had numerous issues). The worst part, Kickfurther told us that they would come to a good resolution. They offered us a refund, which anyone would take to mean a full refund. Then, a week later, they tell us they’re only going to give us a 50% refund! And then, to really add insult, in order to withdraw my refund, I STILL have to pay my 1.5% withdrawal fee to Kickfurther. That’s my personal experience. In a follow up, I’m going to explain why Kickfurther as an investment vehicle itself is a poor vehicle, even without fraudulent offers. Kickfurther is a poor investment vehicle as well just purely as an investment vehicle. (1) Horribly Tax Inefficient: Kickfurther profits are immediately taxable as ordinary income. Contrast this to equity investments, where you can make use of long term capital gains. Imagine you make $100 in profits and are in the 25% tax bracket. Each time, you earn money, 25% of that is gone to taxes. This huge tax drag will greatly reduce your long term returns over time. (2) Expensive fees: We all know the value of low cost investments. Yet Kickfurther charges a 1.5% withdrawal fee. Whatever you earn, you’re going to be paying massive charges just to take that money out. This 1.5% fee is charged, not just on the profit, but also on anything you put in. (3) Inefficient reinvesting: You have to do a ton of work to find good investments. This means that while you’re looking for investments, your funds are sitting in cash. Big cash drag means lower returns. (4) Huge risk that doesn’t match the rate of return: I’ll explain more below, but the tax drag, cash drag, and withdrawal fee all reduces your rate of return by so much that I can’t see anyway that your risk equals the rate of return. Lets take an example. If you have a $1000 investment earning 10% over 6 months, you might think you’re making a 20% return. Wow, sounds great. But what if we include the impact of taxes and fees. Your $100 is likely being taxed at 25% or more (including state taxes). That reduces that $100 profit to $70 (lets just say your paying 30% taxes, which I think is fair). In addition, you’re withdrawing that $1100 you have. You pay 1.5% withdrawal fee, which comes out to $16.50. Your $100 profit is reduced by another $16. You’re now looking at a profit of $53.50. Wow, your 10% return post taxes and withdrawal fee is really more like 5%. All while you’re taking extraordinary risk of a 100% loss of principle. Interesting points on the tax piece. Never gave that much thought until now. Terrible platform and terrible management – I do not recommend this at all. People including me have lost more money than I have made on this platform. The management is not open to ideas, statistics, lessons learnt and risk management. SO INVEST AT YOUR OWN PERIL AND RISK OF LOSING YOUR CAPITAL COMPLETELY. They are like pyramid marketing looking for fresh money all the time. Any chance you’d be willing to share what Brands you funded failed, what Brands you funded are successful, and what your current return is? I think it would be beneficial to share so others know what to expect. 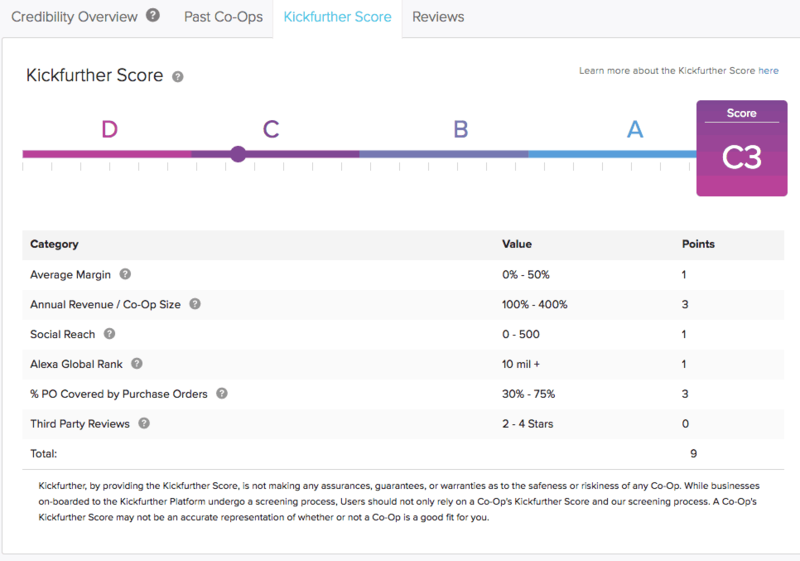 Hi Robert, I’m not the original poster but I have bad experience with Kickfurther and am willing to share the coops I invested in and my rate of return. I invested in February 2016, $20 out-of-pocket and $15 kf-credit, and again in July 2016, $21.96 out-of-pocket. Total investment is $55.96. I deliberately invested small amounts to test the investment. I am glad I did – others have lost a lot more. My return to date is $30.07 across two investments. That’s almost a -50% ROI (-0.47) over one year. The first coop I invested in, Wine & Whey, was the $35 investment. It was scheduled to pay out in full in 10.5 months with a 12% profit margin. Which means that in January 2017 I would have received paybacks in the total amount of $39.20. I had received $23.71 by that time, a -32% ROI. The second, Elephant Coffee Importers, was a $21.96 investment with a scheduled payout time of 9 months and a 15% return. As of today, we have received 18% of the full payout amount, with 2 months remaining. It’s also VERY unclear who is responsible for the failures. Both of the coops I tested out lay the blame on the Kickfurther team. The communication from the Kickfurther team is non-existent. And the accountability coops are held to also seems non-existent. The Kickfurther process for liquidating a bad investment is for all the backers to vote “no-confidence.” But, they need to navigate to the investment page and click several links in before that can be achieved. I’m just short of calling Kickfurther a scam, mainly because there are little to no protections for backers, and what protections ARE in place are barely communicated. So, it’s easy for a company to take advantage of its backers/investors. At worst, it’s a scam and at best it’s a poorly executed idea with a bad product, bad communication, and low accountability. I used to work for a company that was thinking about using. I am no longer there, but we had started talking to them around the time that I left and I am not sure what happened as I wasn’t around for it. From my experience they were very pushy about doing it in the first place and everything was “quick, we need this info right away, we gotta get you in next week” and “we have a great chance to get you in on monday but you gotta sign the contract today.” Someone we talked to on the phone at one point said we could run another co-op if we just paid back 80% of the first one and we could use the money from one to continue to pay back the second. It was all super fishy. With as eager as they were to sign up my company I am not surprised that so many companies blame them right back and so many are in trouble. Also the commission they take from the company is very high, which I think also puts a burden on the company to pay back. It felt like a scam from the company’s point of view as well. Hey Robert, if anything, you should reduce this review down to 1/10. Here are some additional consumer complaints filed with the BBB and on various review websites. It doesn’t give a very comforting picture of this company. KickFurther took down about 1 month ago their Review section on their own Facebook Page. They had twice more 1 Star rating than 5 stars. Something like 28 x “1 star” versus 14 x “5 Stars”. Terrible company. I started investing in summer of 2016. I stopped after 6 months when I realized that this company was not able and willing to deliver on their promise of service. A few months ago they passed on 3 different investments to the investors that were actually frauds…Result of 3 identity frauds as they are calling it and now we are all paying for it. Very, very poorly managed- Their advertising and marketing are extremely deceiving. Negligent and incompetent at best. I regret the day I found their website. Kickfurther is a horrible platform. I spent a little bit of money on it – I figured it was a gamble. And it WAS. As in most gambling, you lose money. Yep, I lost money. For the life of me, I can’t figure out how my consignments paid out about $500, but only $260 of it is available to me. I HAVE NO IDEA WHERE THE OTHER $240 WENT. It wasn’t because the consignment lost money – they made profit! The money just disappeared, with no trace. I requested the remainder of the $260 (minus a $30 processing fee) because I figured getting $230 back was better than nothing. And then they asked to link to my bank account… LOL. I too have invested in Kickfurther and have been very disappointed. Kulturpon Incorporated was a fake company whose website went down soon after they received our investment. Sockwa Corporation used the investment to buy inventory but states that the inventory we funded hasn’t sold so they have not repaid their loan. And The Mulberry Silk Company said they were having trouble selling inventory, sent inventory to Kickfurther who has sold some (the first payment took Kickfurther several months to pay because they had to “develop” a program to distribute the money). No payments since January 2017. I have found that Kickfurther does not vet the companies that they ask you to fund. This is the biggest scam out there. They charge you to “invest” your money as well as when you want to withdraw it (if you ever get any back) It is their position that 1) They are not required to track down the owners of default companies to get them to sign a personal guarantee or enlist the help of the collection agency to try to recoup funds. 2) They are not required to file a lawsuit and use our their funds and legal resources to pursue a judgment on default companies. DO NOT WASTE YOUR MONEY. This company can be considered either a scam, or just run by completely incompetent management. When everything goes as planned, it works fine. But they have an extremely poor vetting process and take no responsibility for providing users incorrect information on which to base their decisions. They have no remedies for user when a fraudulent company just walks off with the money. They take a percentage on the money raised anyway, so they don’t care, they get paid either way. Oh, and when things go south on a funded offer? VERY POOR communication from Kickfurther. I’ve gone MONTHS without hearing an update. There’s a reason our real financial institutions do as much vetting as they do now before giving out loans. Because when they go bust, they are out that money. Kickfurther literally has nothing on the line here, and they don’t care what these listings say as long as they get their cut. Very poor vetting and incompetent management. I had issues with 5 of 5 investments – 2 appear fraudulent and KF have been beyond useless. Avoid like the plague.